the government found it difficult to accord inter-cadre transfer of P Parthiban, a 2011 batch AGMUT cadre IAS and his spouse Nisha Parthiban, 2011 batch IPS, to a common cadre on grounds of marriage. Usually, the officers belonging to all India services i.e. Indian Administrative Service (IAS), Indian Police Service (IPS) and Indian Forest Service (IFoS) manage inter-cadre transfers on grounds of marriage. But in case of the Parthiban couple, the problem arose because P Parthiban could not be placed in Tamil Nadu cadre where Nisha Parthiban was working, as Tamil Nadu happened to be his home cadre. And similarly, Nisha Parthiban could not be transferred to her husband’s cadre AGMUT, as she belongs to Delhi which is a part of the AGMUT cadre. There was no provision till now under which the husband or the wife could opt for the cadre of their spouse being their respective home cadre. So when this unique case came up to a panel headed by the then DoPT secretary Sanjay Kothari, he did not take the final call. Instead, he decided to put up the proposal for seeking the approval of the ACC headed by the Prime Minister. Now, the new policy says that if either of the officers cannot opt for the cadre of the spouse (because they are respective home cadres), they may choose the immediate next cadre opted by them. And in case of non receipt of preference within the stipulated time from the officers concerned, they will be assigned the most deficit cadre. 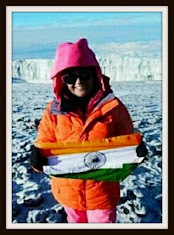 IPS officer Nisha, 31, originally hails from Delhi. She did her MA before getting into the Indian Police Service. She was allotted the Tamil Nadu cadre. In a November 2015 reshuffle in the state, she was given the assignment of deputy commissioner of police (law and order) in Coimbatore city. On the other hand, 33-year-old P Parthiban did his mechanical engineering before getting into IAS. He belongs to Tamil Nadu. Can something similar be done for IAS and IFS couples in dire difficulty. Can they not be adjusted in the AGMUT cadre for Delhi based stints ?? ?